Suomy Motorcycle Helmets are as the Italian’s say “Race Passion”. Ok, maybe their slogan doesn’t translate exactly, but their many years of MotoGP experience come through in every helmet. 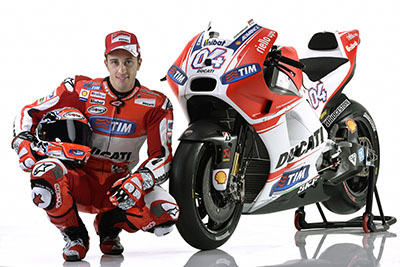 In fact the SR Sport you purchase from us is the exact same helmet on Andrea Dovizioso’s head! No factory prep’d one off’s, Dovi really races in helmets right off the assembly line and if it’s good enough for Dovi or Rin’s it’s good enough for us! Lucky for you Speed Addicts specializes in helmets and will help you find the right skid lid. Consider the Speed Addict Team your helmet concierge. Worried about fit? With the Addicted Fit Guarantee helmet shopping with Speed Addicts is truly risk free. Need a different size no problem we’ll pay shipping both ways and in some cases can just send you a different size of cheek pads or head liner to dial in the fit of your new helmet. In Italy MotoGP and Motocross racing is close to god, perhaps a second religion. Some say Suomy Helmets may contain a single tear from the nun who completed assembly and that the Holy Father himself blesses each production run. While we don’t think Suomy helmets are made inside the Vatican walls, they are designed in Italy where racing is life.